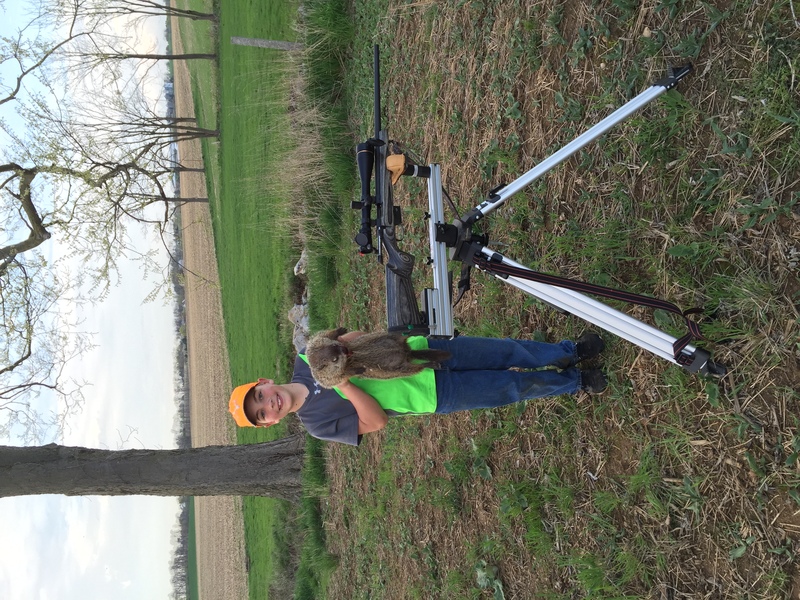 Here is a picture of my eleven year old son, Noah, with his first groundhog harvest. Thank you for helping me pass on the love and ethics of our sport, and the importance of making accurate ethical shots. Your tripod is a quality American made product that really makes a difference. We have now used it to harvest groundhogs, deer, and fox and plan to use it for many years to come. Airforce Condor 22 cal. Air rifle.